"We trust Veritek engineers enough to carry out warranty work on our behalf to exacting standards and have enjoyed a successful collaboration"
For over 20 years Veritek has been delivering service on behalf of Fuji-Film across the UK. Veritek provides ‘whole life’ solutions including equipment preparation and installations, maintenance, technical helpdesk, on-site engineers for equipment failures, parts and logistics. Veritek has also been instrumental in the provision of equipment reliability data to assist with product development. 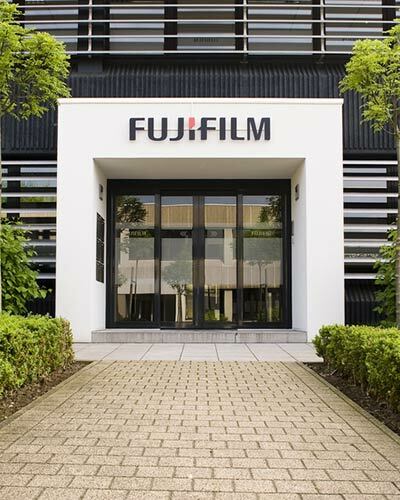 Fujifilm have worked with Veritek for many years as the preferred ‘outsource’ provider for the installation and maintenance of the company’s range of Photo equipment. We trust Veritek engineers enough to carry out warranty work on our behalf to exacting standards and have enjoyed a successful collaboration since the introduction of fast processing equipment some 20 years ago. David Honey, Fuji-Film Director - Photo Imaging. "Their service, support and understanding of our requirements continue to meet and exceed our expectations"